I have long loved the ModelCo brand – an effortless mix of smart beauty, quality and innovation – and have been using their products over the years now with more than a little regularity. 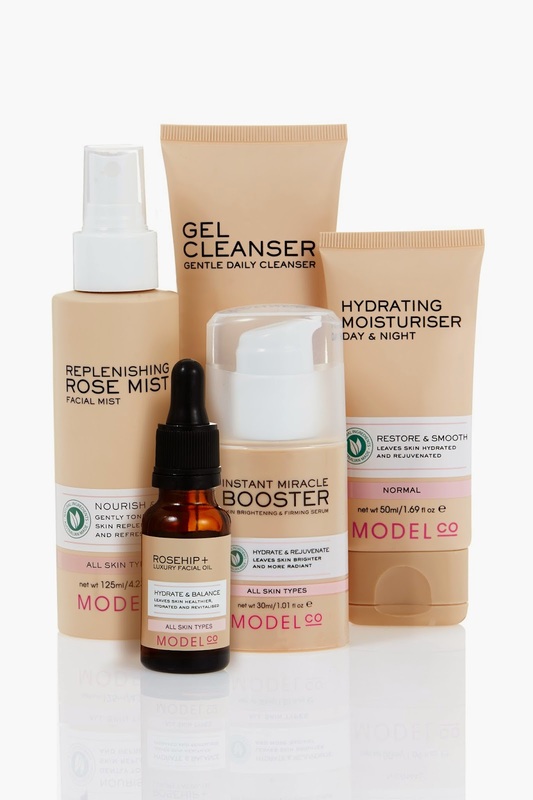 Needless to say, I was pretty excited (but not surprised) when ModelCo launched its natural skincare collection last year, which is an affordable, high performance, quality ange full of all manner of delights. The Australian-based brand is now in its 13th year, and CEO and Founder Shelley Barrett has never been one to rest on her laurels. She says that she was driven to enter the skincare beauty category when the results from a recent survey showed more than 89 per cent of the 8000 respondents wanted to see skincare products added to the ModelCo range – again, no surprise. Geranium, Lavender and Lemon Myrtle also feature heavily in the range, providing anti-inflammatory and anti-ageing benefits – as well as smelling absolutely delicious. I love the fact that the collection is free from chemicals, synthetic ingredients, parabens, sulfates, silicones, PEGs and synthetic colours too, which is amazing considering its killer price point. The collection landed with 12 key skincare products including cleansers, moisturisers, facial oils, an exfoliator, a toner, facial wipes and a true hero product, the beautiful Instant Miracle Booster. “I believe that by investing in the best quality natural ingredients the products will deliver outstanding results and will drive cut through over the more traditional brands,” Barrett says. I’ve been slowly working my way through a trial of a select few products, and one I fell in love with at first use is the Replenishing Rose Mist. An absolute joy to spritz on, it is a nourishing facial mist designed to replenish, tone and revitalise the skin. The formula uses Damask Rose for its super moisturising and anti-inflammatory properties, Glycerin to ramp up hydration and lock in moisture, Castor Oil to help fight lines by stimulating collagen production, antioxidant-rich Acai fruit to fight free radicals and Vitamin C-packed Pomegranate, to help prevent cell damage and assist in the rapid healing of wounds. Pretty amazing lineup huh? And it smells incredible too. It’s the perfect addition to your handbag or carry on when you want to pep your skin up throughout the day or mid-flight, and does everything from eliminate surface shine and excess oil to soothing and calming. I’ve just come back from a week at the beach with a bottle in tow and can’t believe how good it made my skin feel when things were getting wind-blown and a little tight, and it was the best mid-roadie pick me up too!